It's been one year since the best golfers in the world and thousands of their fans converged on Erin Hills. The course and area businesses are still feeling the effects of Wisconsin's first U.S. Open. From tee to green, Erin Hills is covered with golfers galore like John Stanzi of Chicago. "To be able to watch the U.S. Open at home on TV and then relate to your experience playing here, I think it just brings it to another level," said Stanzi. The tournament brought the region well over $100 million. Ever since, golfers have been coming from around the world to put their skills to the test on the major championship course. Competitions Director John Morrissette said Erin Hills has joined the likes of Whistling Straights on amateur golfers' bucket lists. "Wisconsin has quickly become arguably the best summer golf destination in the country," he said. Just a mile down the road, barbecue shop owner Andrew Jepsen is still feeling the U.S. Open ripple effect to this day. "It's been the biggest blessing I ever, ever imagined," he said. "The phone has not stopped ringing and new customers (come) all the time." 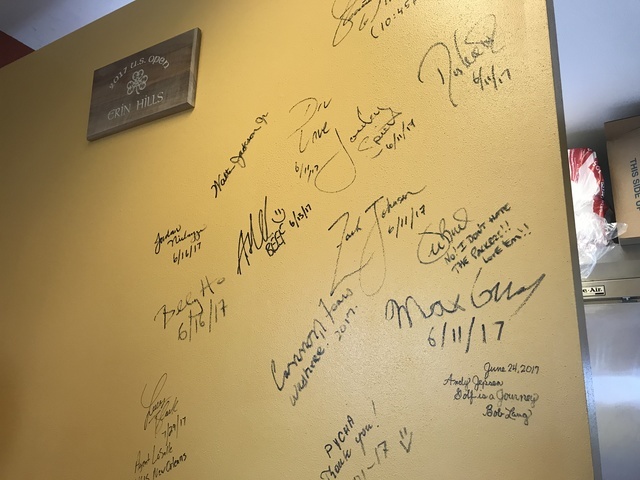 Jepsen hopes his 'wall of fame' that's covered with names of some of the greatest golfers on the universe only grows with another world class tournament in the future. "I know there's rumbles in the winds that it will come back again," he said. "We'd like to think that we've got a good chance down the road," Morrissette added. Morrissette said U.S. Open venues are already spoken for through 2027. He said Erin Hills is vying for 2028, '29 and '30.